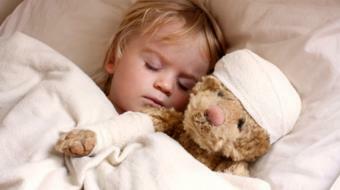 Dr. Keyvan Hadad, MD, MHSc, FRCPC, Pediatrician, discusses serious child headaches. Serious and Nonserious Headaches In Children Dr. Keyvan Hadad, MD, MHSc, FRCPC, Pediatrician, discusses serious child headaches. 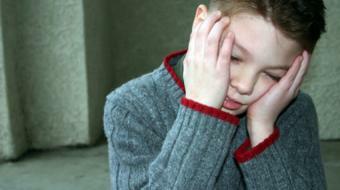 When children complain of recurrent headaches, by far the most common two diagnoses are tension headaches and migraines. It is very much the rare child who has a more significant reason for their headaches. And of course, the most important diagnosis to rule out is the remote possibility of a brain tumor. There are certainly red flags that go along with the diagnosis of a brain tumor. The child with a brain tumor is very unusual. There are important symptoms that if present, you need to make sure that your physician knows about. These symptoms include a child who wakes up in the middle of the night and complains of a headache. They also include children who have declining performances, whether in school or with their physical activities, their favorite activities; the child who no longer wants to go to school or no longer wants to take part in their normal physical activities. Also, children who have seizures or children who complain of double vision need to be assessed immediately by a health care provider. It is important when your child complains regularly of headaches for you to see your primary care provider or your general pediatrician to address the common diagnoses, but certainly also to rule out the uncommon diagnoses.